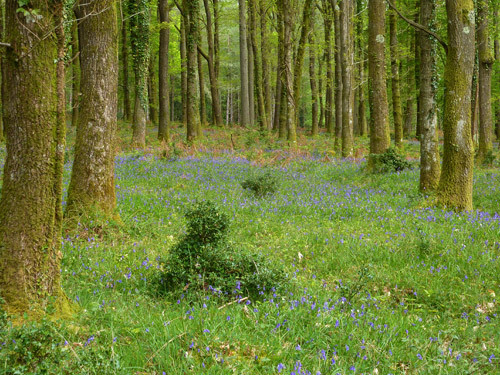 In the Great Linford Inclosure, the bluebells, though very late, are starting a fine show. Just a few days more to be at their finest. The New Forest stallions have been turned out for a month. 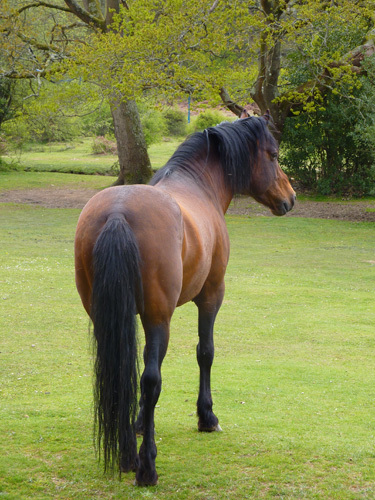 This is Limekiln Endeavor, the stallion responsible for next years foals around the Linford area. 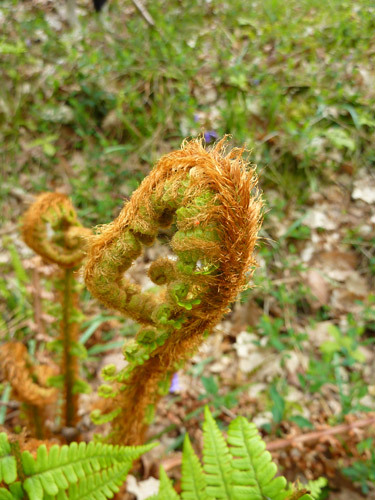 A new fern frond unfurling. 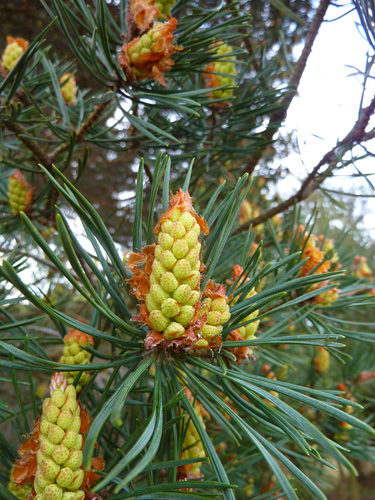 New pine cones forming. I love this time of year! 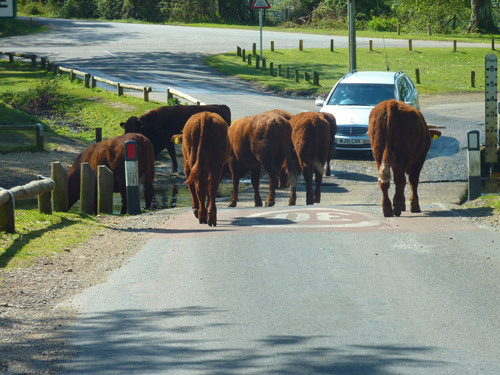 At Moyles Court ford, a herd of Red Devon cattle do what they do best, hold up the traffic. 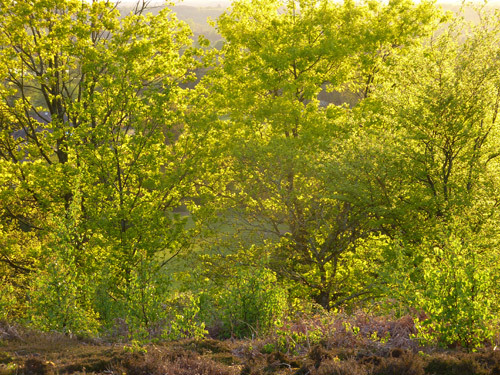 The sun backlighting these birch trees makes them look yellow – almost autumnal! 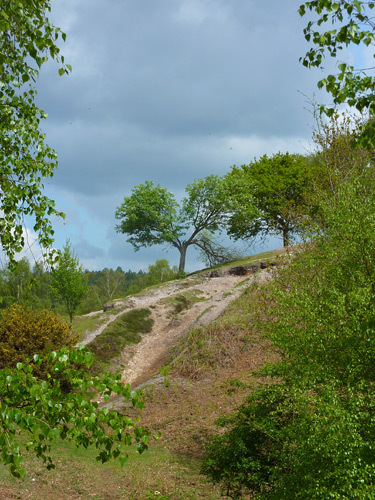 A less common view of the steep hill up to the disc barrow above Moyles Court sandpit.